After looking at so many of Turner’s skies and sunsets I have really wanted to give a small one a try. I have also been interested in the way pastel artists get such compelling skies with so many colors in them (see Loriann Signori’s blog). It seems like one key ingredient is having several blues in close proximity. And a teal or turquoise plays an important role. 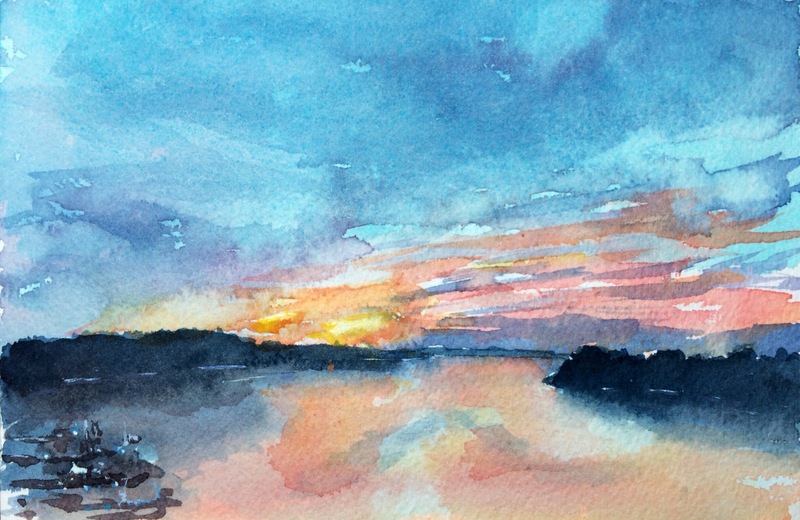 This rough sunset attempt is from a picture I took while crossing the Severn River in Annapolis this weekend. My goal here was only experimentation. I would rather handle these directly outdoors, but some practice first makes sense.